What is Potable Water? | Is It Drinking Water? What's It Used For? Put simply, potable water is drinking water. Potable water has to be safe enough to be consumed by humans with a minimal risk of short-term or long-term harm. Typical uses of potable water are drinking, cooking, washing, toilet flushing and farm irrigation. Most naturally-occurring water requires quality management to make it potable and safe for public consumption. In Australia, the Australian Drinking Water Guidelines provide a framework for the management of drinking water supplies appropriate for local conditions. All drinking water service providers in WA must comply with these Guidelines. physical or chemical contaminants such as heavy metals, organic compounds and suspended solids such as plant matter or animal waste. These can be naturally-occurring or pollutants. microbiological contaminants such as bacteria (the most common being E.coli), viruses and parasites. In Australia the Economic Regulation Authority issues licenses to supply potable water (and other water). Licensed entities can be State Water Authorities, Local Councils or private businesses. An issue in West Australia is the supply of potable water to consumers ‘off the mains’ – whether a farm or business not connected to the main water supply, or a remote mine-site or community. Often these consumers source their own water eg. from rainwater tanks, dams or bores, in which case they must still follow the standard guidelines and regulations. In other cases, potable water is transported by truck and tanker. 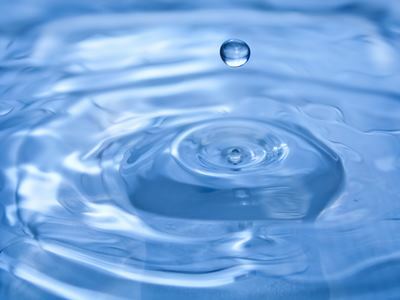 The WA Health Department publishes Guidelines on the Bulk Cartage of Drinking Water that covers water sourcing, water quality monitoring and treatment, hygienic operation and maintenance of cartage equipment, and the responsibilities of both the commercial supplier and the consumer. Vintage Road Haulage guarantees that it draws potable water from licensed suppliers and conforms in detail to the Guidelines on the Bulk Cartage of Drinking Water. For bulk supply and cartage of potable water around Perth and WA, contact Vintage Road Haulage on (08) 9410 1726 or email using the contact form on this page.